starting point of the conversation was the search of a local politician Nimal Lansa’s house with the order of the IGP but without a warrant issued by the magistrate. Hence, one positive thing that came out through this event was that even the high-level politicians tend to accept a common ethico-legal norm that magistrate’s warrant is a requirement prior to the arrest of a person or search of a place. Will that norm be applied by the police hereafter in case of the arrest of an ordinary person or search of her/his house? Sorry, I am deviating from my topic. 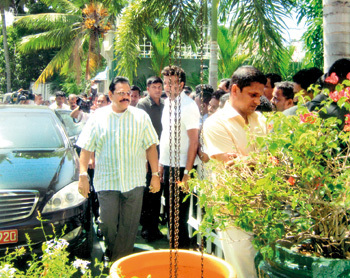 Why did the police special task force make an early hour intrusion to Nimal Lansa’s house? 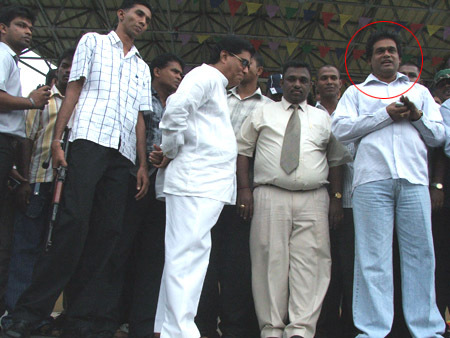 One person surmised: “Nimal Lansa was very active in organizing the slain politician Bharatha Lakshman Premachandra’s funeral arrangements.” “Minister [Dr] Mervyn Silva also visited Nimal Lansa’s house after search operation” responded the other person. These ‘revelations’ placed me in total bewilderment: “how could these events be put together?” I shut the book that I pretended reading as I did not miss a word of their conversation. Two men lowered their voice posing for themselves a question. Are there an emerging or existing two rival camps within the ruling coalition?For me one thing is clear. Even two or more rival camps exist within the ruling coalition the basis of difference is not political. 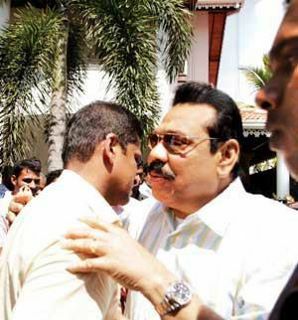 Day light killing of Bharatha Lakshman Premachandra has brought onto the surface the disguised but well-known fact that crime, drugs and politics operates in synergy in post-armed conflict context and it has become one of the key characteristics of Sri Lankan politics today. Crime and drugs usually go together. It is also a fact that the politicians oftentimes get the service of criminals in order to silence their opponents. What is new is not the politicians using criminal elements but the criminal elements themselves engaging in politics. Crime, drugs and politics are not, if I use Michael Mann’s analogy, like billiard balls, which follow their own trajectory, changing direction as they hit each other. They “entwine,” that is, their interactions change one another’s inner shapes as well as their outward trajectories. Entwined is the term that explicates this novel phenomenon, that politics are now entwined with crime and drugs so that its inner shape and outward trajectories have changed. One may conjecture that if Bharatha Lakshman Premachandra belonged to politician of first genre, R Duminda Silva, MP can be put in the second genre. The executive presidential system and the proportional representation electoral system introduced in 1978 inhere in it a tendency towards criminalization of politics. However, in practice the inner shape of the constitutional set up has also changed. To some extent this entwining of politics, crime and drugs was explained by the Secretary to the Ministry of Defense in following words: “Unfortunately due to the environment of this area; where the underworld existed with a gun culture, it was not unknown that the politicians working there would have such connections. The politics they have to play in this area is such that they have no choice in it. If you looked at some of the representatives you can see this. But unfortunately they are the ones that can get the votes from these areas. That is the ground reality.” And the so-called ground reality is so stubborn, even the strict orders by the Secretary of Defense have failed produce adequate results. Election campaign has become an enterprise that requires substantial amount of capital, financial as well material, and labor with multiple capacities. Elections for the Parliament, Provincial Councils and Local Government bodies are basically a battle ground not between parties but between individuals. Hence, except the Presidential election, all other elections as they can be manipulated by the President in determining election dates and areas have become individualized. It was not the party, but individuals who decide the content, mechanisms, and people used in the election. One may assume that the prominence of individuals may provide a basis for more diffused and ambiguous system facilitating anti-authoritarian tendencies. The same logic is the argument behind the notion that capitalistic system is inherently democratic (the liberal myth). However, what has evolved in Sri Lanka in the last 30 years or so is that these tendencies towards individualization contributed immensely in strengthening authoritarianism. Political parties especially those are in opposition have become almost extinct species. subterranean. As the Defense Secretary explained, there were allegations but no proof beyond reasonable doubt. No proof, partly because of no proper investigation. 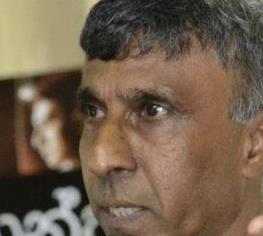 If there are allegations based on surmises, they have to be investigated as happened in Lansa’s case. Why there are no proper investigations? My argument is that crime and drugs are now entwined with politics. Does this mean that we are in unbreakable vicious circle? This pessimism has penetrated into our minds and has transformed out thinking. Talcott Parson talked about a distinction between distributive power and collective power. The latter in multiple forms operated in modern period in both ways, positive and negative or destructive. The political issues of this nature have moral dimension and that has to be addressed through collective means. We need a social movement not oriented towards capturing power, but to rejuvenate collective social norms that were prevalent in the Sri Lankan society prior to the mid-1970s.